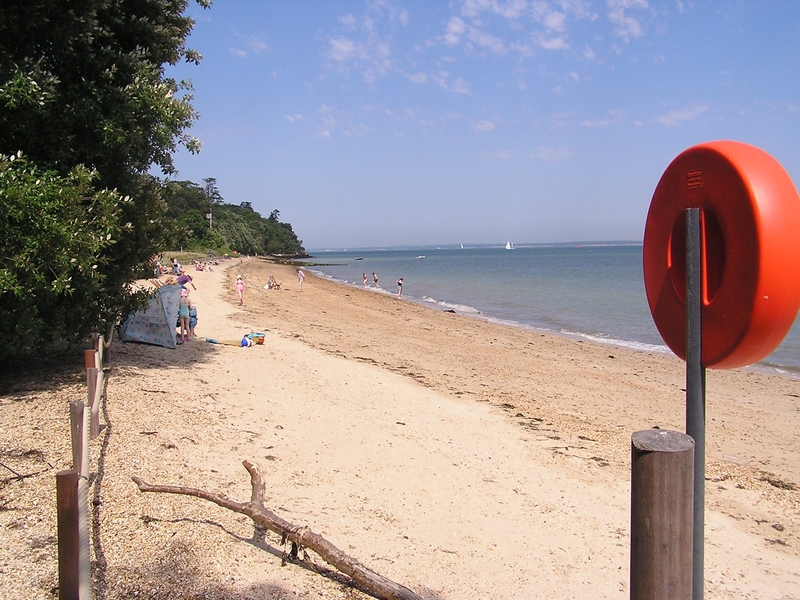 I have been to Queen Victoria’s private beach at Osborne, on the Isle of Wight, to swim. English Heritage, who manage the estate, have restored the alcove or exedra, colourfully decorated with blue and pink tiles, which she favoured for letter-writing and sketching. 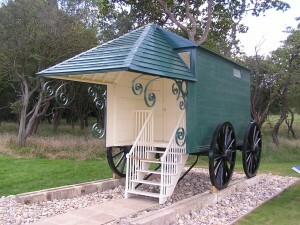 The Queen’s bathing machine, also restored – after lengthy service as a chicken coop – is displayed there, a very superior construction akin to a small house. Deck chairs may be hired, there are regular Punch and Judy shows, brass bands occasionally perform and there is a pleasant café with changing facilities. Queen Victoria's bathing machine at Osborne. It would be lowered into the sea on metal tracks. In fact, the sea here is so shallow, except at the highest tides, that one could almost walk to Portsmouth. As a swimming place it is ideal for young children, as there is little danger of their getting out of their depth. Queen Victoria’s own children played happily on the beach for hours and had swimming lessons from Prince Albert, a firm believer in the health-giving properties of sea-bathing. Although the Solent is a narrow strait, the view from here reminded him of the Bay of Naples. I wondered whether my grandfather, a cadet at Osborne during the First World War, would also have swum here. In 1902, Edward VII presented Osborne to the nation. A year later, a Royal Naval College was opened in the former stables, the main house being put to use as a convalescent home. The accommodation was damp and spartan, a suitable training ground for the nation’s martial élite. (These included Prince George, later the Duke of Kent, who was my grandfather’s servant.) The College was to become notorious for its epidemics of ‘pink eye’, a minor but unpleasant infection, treatable with drops, that was said to have been left behind by the horses. Disappointingly, I discover that there were no opportunities to swim, nor indeed swimming lessons, in my grandfather’s day. 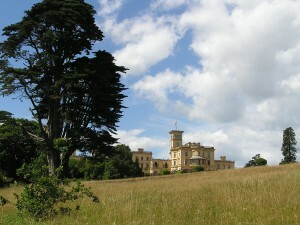 There was no pool, and the Admiralty had banned swimming in the Solent, on the improbable grounds that it was unsafe! Swimming lessons were deferred until the boys arrived at Dartmouth, which had a pool, though I suspect my grandfather would already have been a competent swimmer. 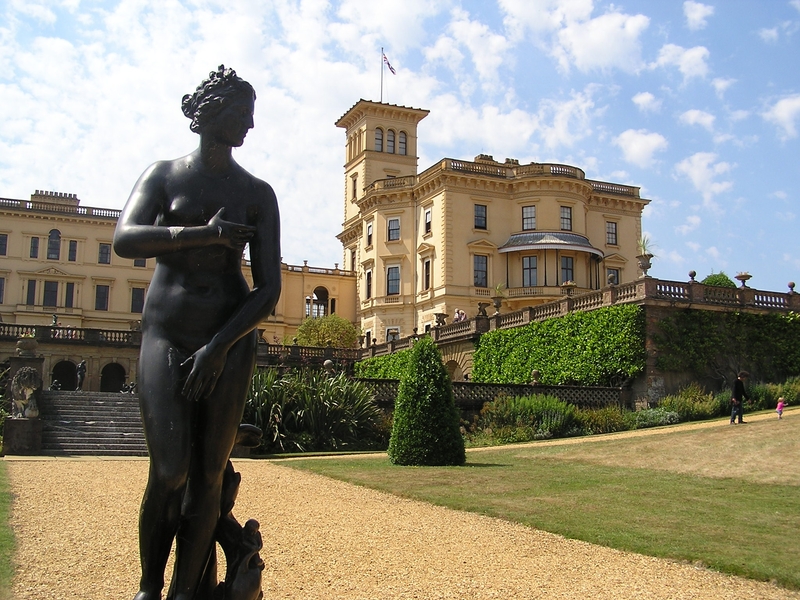 Personally I am much taken with Prince Albert’s Italianate fantasy, which appears at its best under a blue sky. I feel sad for Queen Victoria, fussing about with her maids and bathing machine and voluminous costume, failing to enjoy the sense of liberation that comes with even a moderately wild swim. She should have been as untramelled as the voluptuous statuary that surrounded her at Osborne.